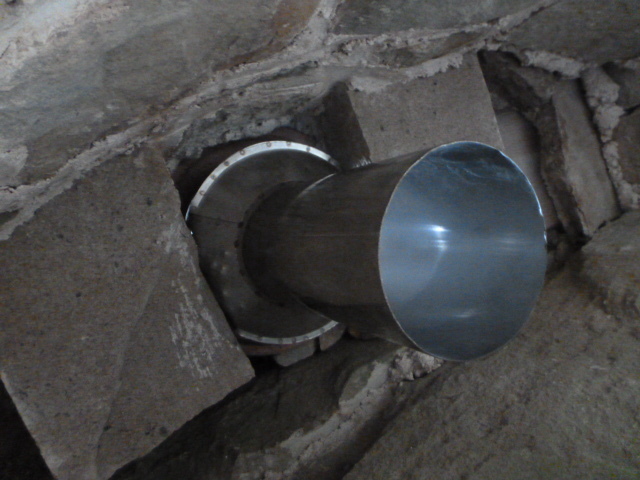 And flue adapter – to create a sleeve between the clay pipe and the stove. 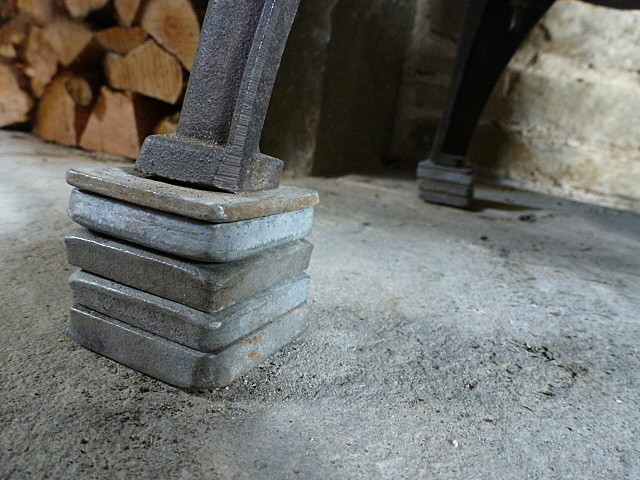 A rather large tilt in the floor means improvising with some cast iron bolts – to make a platform shoe – under which the stove’s own weight is kept steady. This model has a handy side door for loading logs. 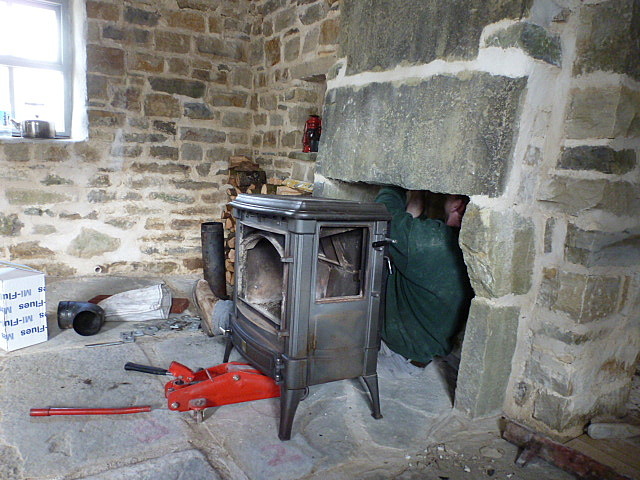 The stove puts out 8kw of heat – ample for this space. 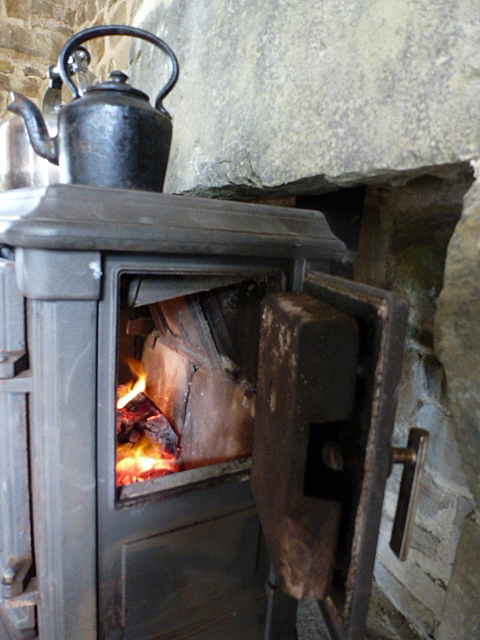 For the first time in (nobody remembers how many) years – a fire leaps up the chimney of this little thresher byre. As if that were not pleasure enough – this lovely gift arrives by way of house-warming! 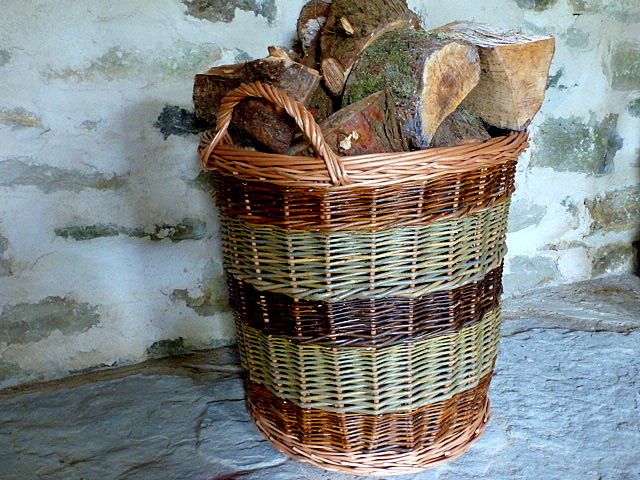 Posted in basketry, Carndonagh, cast iron range, Chimney, Cottage, Crafts, fireplace, flu adaptor, flueTagged Carndonagh, cast iron stove, chimney draw, Flue adapter, homeBookmark the permalink. 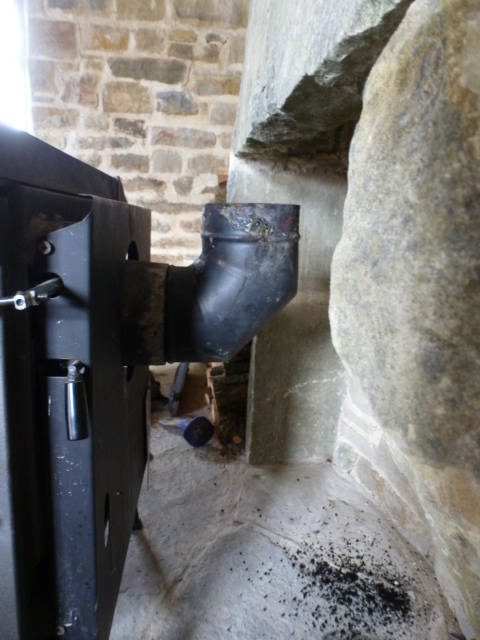 Brilliant that the stove sticks out into the room – so often when they put intio old hearth they are under the breast with most of the heat escaping straight up the chimney. And that side door for refuelling is not something that I’ve ever seen. A very canny purchase for a very perfect home. 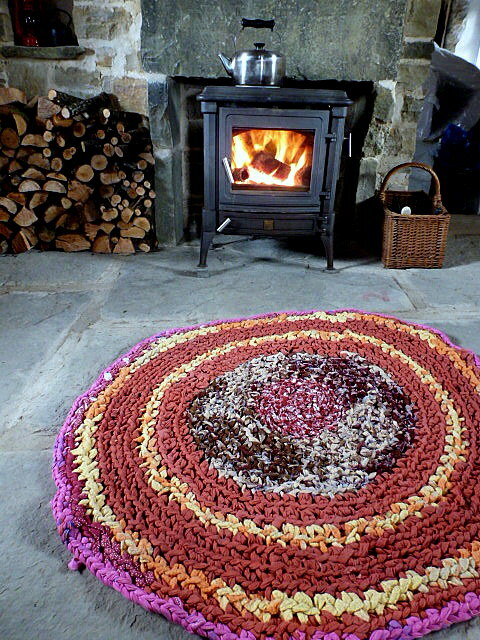 BTW – rug is hand made from old sheets, shirts and blankets. The dream comes true. Magical. Many happy days. What a beautiful job! The stove looks as of it was made for that spot exactly.